We are looking Sr. Executive profile for our Micro QC department for Indore Location . 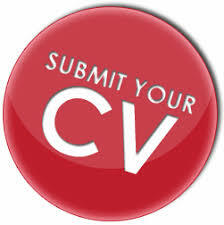 If your profile match with given criteria, send your CV on sunilnamdev@lupin.com . 1. Execute and supervise all tasks and activities as per the applicable SOPs. 2. Maintenance of cGMP and implementation of quality system in Laboratory. 3. Issuance and timely review of Microbiological Test Data Sheets, ensuring timely testing and release of drug products (Raw material, intermediate/In-process, cleaning sample, finished product and stability samples) as per current applicable specifications and standard testing procedures. 4. Ensuring all the instruments / equipment’s is qualified before use, Ensuring all the instruments / equipment’s are calibrated / validated and maintained as per schedule. 5. Preparation and review of SOPs / MTPs and validation protocols and Preparation, Review and analysis on the trends of quality parameter viz environmental monitoring, water system. 6. Maintenance of Microbial cultures and culture suspension. 7. Representing Quality Control Microbiology laboratory in regulatory inspection. 8. Ensuring operational training to QC-Microbiology staff as per job description. 9. Updating quality system as per pharmacopeial and regulatory requirements. 10. Investigation of out of trend, out of specification, Deviation, Incidence reports. 12. Work Experience in USFDA / MHRA approved plants is must. 13. Should have good communication & leadership Skill.